Congratulations to our Pee Wee cheer team who took home the 3rd place trophy from the 2018 Pop Warner National competition! The Next board meeting is January 28th at 630pm at Get Air. 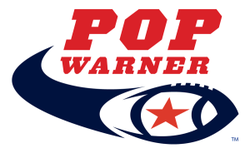 ﻿﻿﻿﻿Welcome to the Official Web Site of the Mighty Cicero Falcons Pop Warner Football & Cheer, Please use the main menu or search bar above to locate lots of information about our Cicero Falcons Football and Cheerleading programs. Feel free to check out the mass of information on our page. If you have any questions or want to inquire more about signing up to become part of our team. Check out our contact page! We would love to he﻿﻿ar from you! Click on the link below for Falcons Apparel!! Once you have reached the site click on Cicero Falcons!! 10% of all purchases go directly to the Cicero Falcons Organization!! Home﻿ of the National Champion﻿﻿﻿ Falcons! ​Come ﻿﻿be part of our Family and experience the success and teamwork ﻿﻿﻿that identifies our Program. ﻿﻿Click here to learn more! !